Citizens for Nuclear Technology sponsors, co-sponsors, or contributes to a variety of public events and information meetings. CNTA sponsored events a vital part of the mission of our organization. Our events have the purpose of education, networking, and fundraising. 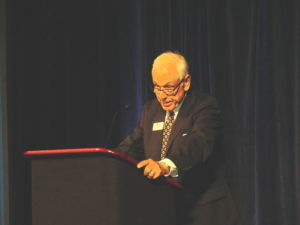 The Annual Edward Teller Lecture and Banquet (also referred to as the Teller Lecture) is an event hosted by CNTA with the goal to reach out to the public and members. 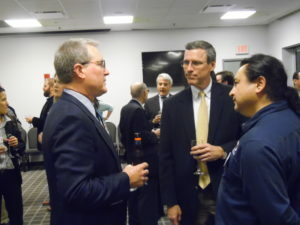 The event includes a reception, dinner, and lecturer who speaks on relevant nuclear topics. There are also many awards given out at this event including the Robert Maher Memorial Scholarship and the Distinguished Scientist Award. The Up & Atom Breakfast is an event put on periodically by CNTA with the purpose of bringing in speakers who will discuss subjects related to nuclear technology and its impacts on society. Tap into Nuclear is a periodic event put on by the Young Professionals Committee with the goal of “tapping into” the experiences of more accomplished members of CNTA in order to develop a wide range of skills that can be used in the workplace. 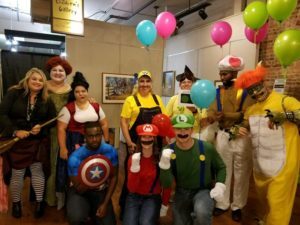 Previously known as the Annual Costume Ball, the Young Professional Fundraiser is an event put on by the Young Professionals Committee with the goal to raise money to allow membership for those under 40 to be free. 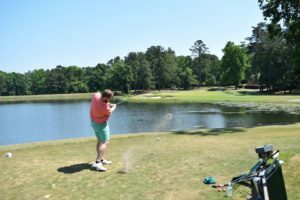 The Annual Golf Tournament is put on by the Golf Tournament Committee with the goal of raising money to support CNTA’s various efforts to pursue our mission, vision, and value. CNTA hosts an Annual Members Mixer in order to bring the members together to review and discuss the annual report.